To learn more about how we can help you, contact us today for a free consultation. Wrinkles develop with long term UV exposure and when the body decreases the rate of new collagen and elastin production. Reduced levels of collagen and elastin are a normal part the body’s aging process. Although nothing can be done to prevent natural aging there are other environmental factors that will contribute to increased wrinkles with age. These factors may help determine how likely you are to experience wrinkles. Genetic (family) influences play a large role in the development of wrinkles. A good family history can prevent a lot of wrinkles from forming in the first place but there are things you can still do to hold them off for a little longer if you’re not one of the lucky ones. Avoid Smoking: smoking not only causes wrinkles but it narrows blood flow to the skin so it ages much quicker than normal. Smoking not only ages the skin quickly, but also the entire body. If not for looks alone, you should stop smoking for all the other good reasons. Avoid Excessive Sun Exposure: Sun exposure is a significant risk factor. Spending many hours, days and years in the sun breaks down your skin over time so when you get older your skin will be paper thin and develop not only a lot of wrinkles, but skin cancer. We treat skin cancers all the time at our clinic so we know what we’re talking about. What’s worse than wrinkles is getting a skin cancer that takes up a big chunk of skin that has to be removed and then closed with skin from somewhere else. That is definitely not a pretty sight and can be avoided with simple sun care and protection all throughout life. Avoid Tanning services/products – Tanning booths can ages your skin very quickly! Constant muscle movement such as with the forehead or around the mouth can also contribute, though Botox and fillers can reduce movement and slow development of wrinkles. These treatments can stop and even reverse the formation of lines and wrinkles on the face with no downtime whatsoever. Schedule a consultation today to learn more about how we can help you recover your true look when you’ve been affected by wrinkles. Our modern treatment devices and procedures can protect you against the most frustrating signs of aging. How quickly can your wrinkle treatments work? I'm hoping to have a serious reduction in facial wrinkles in the next two weeks. Do you have anything that would work for me? It all depends on where the wrinkles are located. If they are deep creases in the face, we can usually use fillers for quick improvement. If the lines are related to muscle movement then Botox cosmetic can be effective but it will take at least a few weeks to see their benefit. We also perform laser skin tightening but again, this can take weeks to months to notice an improvement. SmartXide laser, I have under eye wrinkles that botox can't treat and I have been looking at the smartxide laser. 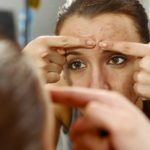 Is this something that can work for under eye wrinkles? I am 38 years old. My biggest concern is 1) is there a risk that I can do more damage? I have seen some women complain that their wrinkles were worse after doing this laser on realself? 2) Or, does it not work at all for some patients? Thanks in advance! We never usually recommend Botox Cosmetic for treatment of wrinkles under the eyes because those lines are not caused by specific muscle activity rather it is because the skin there is so thin. The fractional co2 laser (smartxide dot) is the perfect treatment for those under-eye lines and wrinkles. Usually a couple sessions is required for the best results. If its done correctly, you should notice a very nice improvement. What's the Best Treatment for Deep Wrinkles? There are a variety of treatment options for deep wrinkles, some of those options include juvederm dermal fillers, laser treatments, minor skin surgery. It all depends on the particular patient’s skin and desired results. What's the Best Lip Wrinkle Treatment? A common treatment option here is filler for what we call “lipstick lines”. These results will last usually 6-9 months but varies widely between patients. 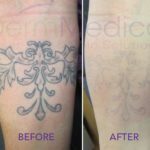 A more permanent result can be obtained with fractional co2 laser treatments and usually a number of these are required for significant changes. How to Get Rid of Forehead Wrinkles? The best treatment option here is usually Botox cosmetic. It works quickly, lasts 3-4 months and has no downtime. What's the Best Eye Wrinkle Treatment? Under the eyes and around the eyes, we have found that fractional co2 laser treatment for periorbital wrinkles is an excellent treatment option with great long term results. Usually one or two sessions is required depending on the patient’s particular situation. What is the Best Treatment to Get Rid of Wrinkles Above the Upper Lip? 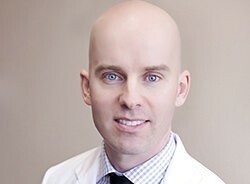 Again, fractional co2 laser and juvederm dermal fillers are good options here depending on the patient’s case and ability to tolerate downtime with laser. What is the Best Treatment for Smokers' Lines? Botox or laser are good options here. Botox can gradually improve those lines by allowing the lip to heal and repair the lines by reducing dynamic movement of the lips. Fractional co2 laser is a more permanent and longer lasting result, but the patient needs at least one week of downtime after treatment and a number of treatments are usually recommended for best results. What Options Are There For Nasolabial Folds in a Teenager? For a teenager, we wouldn’t recommend any treatments as the face is still growing and changing over time. Once the patient is 21 years of age or older, we could consider juvederm fillers but this depends on the patient and their goals. What to Do with Wrinkles Only on One Side of the Face? This is usually due to UV or sun exposure primarily to one side of the face and there are a few options available here but a great option is laser treatment, usually fractional co2. We usually recommend treating both sides of the face but performing a bit more of an aggressive treatment on the affected side.